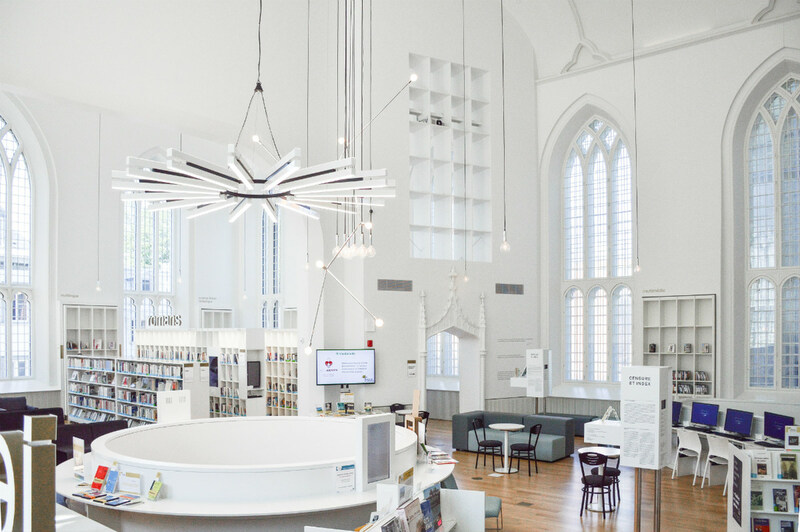 The word “library” conjures up images of silent reading rooms and miles of books. But it’s an image that hardly encompasses the centers of learning, sharing and creativity that modern-day libraries have become. And it doesn’t begin to envision campus innovation centers and their attempts to build connections between libraries, labs, classrooms and building spaces, according to Brad Lukanic. Universities continue to lead the way in transforming former repositories of information into thriving collaborative spaces with a focus on innovation. Whether built within existing campus library spaces or housed in buildings customized for the purpose, college and university innovation centers like those at North Carolina State University continue to grow, becoming major selling points for students and faculty as well as drivers of economic growth and change. While innovation centers vary in their size, resources and focus, they share a commitment to a cutting-edge digital infrastructure that offers flexibility and seamless use. Companies that specialize in AV over IP and similar technologies stand to play a key role in the process. And the first step is to show university leaders why a well-appointed innovation space is an asset with far-reaching returns. Here, we explore ways integrators can bridge the gap between their own expertise and university decision-makers by building conceptual-level arguments to include in their presentations and bids. Spaces for innovation go by many names on campuses nationwide: innovation centers, accelerators, incubators makerspaces. What they share is intent: These spaces are all “intentional spaces for creativity and collaboration,” notes David Raths in Campus Technology. Universities build innovation centers for a number of reasons. The City College of New York’s Zahn Innovation Center, for instance, operates primarily as a startup incubator. In addition to offering workspace, the center also provides mentorship, networking and pro-bono services to student entrepreneurs. At Michigan State University, the Innovation Center bridges the gap between students and businesses, connecting students to local businesses and startups. It also helps faculty members develop and market their own innovations. Michigan State’s innovation programs also focus on facilitating connections between existing university departments and projects in the hopes of maximizing the value of the university’s offerings without needlessly duplicating efforts. Penn State Behrend connects students and businesses by placing them within the same physical space. At the Advanced Manufacturing and Innovation Center, local industries and student learning spaces occupy the building together, allowing both companies and students to use university resources on research and development. And at some smaller universities, the focus is laser-precise. Xavier University’s Xavier Center for Innovation is built around the school’s 3D printing service. Six paid student interns run the center, which is available for student use and which collaborates with local businesses to solve problems, according to the center’s director, David Zlatic. They’re looking for a way forward. Much of the first decade of the 21st Century on US campuses was spent on upgrading IT infrastructure simply to support the rapid change in information and computing technologies. Today, universities are asking what these extensive, and often costly, changes can do for them. How can the campus improve its services without spending even more on the system? They need efficiency. Budget cuts, public outcry and threats of a looming student loan bubble are pushing universities to pay keen attention to outlays even as they strive for innovation and student populations. Integrators who can communicate the vision and their role in it can underscore the ROI value they offer the client. Universities take their responsibilities seriously. Many colleges and universities have founding missions or charters that are deeply integrated into their everyday work. As Lukanic notes at Fast Company, innovation spaces often connect to these ethical imperatives by supporting “learning by creating.” Integrators who understand the university’s driving mission can draw connections between this mission and their own proposals. Once integrators understand what the university hopes to accomplish and why, it’s time to start talking about how their bid helps achieve that vision. The drive to insert innovation centers in educational spaces is closely linked to the need for an adaptable 21st-Century workforce, as well as a response to the changing demands of education and thus the changing position of the university in today’s society. But as Gensler design director Jill Goebel notes, merely putting in a few projectors and whiteboards and slapping a sign on the door does not an innovation center make. While many university administrators are excited about the idea of an innovation center, many lack the technical expertise to lead a project effectively. Integrators can help bridge this gap by carefully laying out what their contribution to the project does — not merely what it is. University administrators often rise from the ranks of faculty — a group that fully understands the struggle of using outdated AV equipment and that often has experience adapting its lessons to avoid using these tools. AV integrator IVCi recently received praise from the governor of Virginia for its work on James Madison University’s X-Lab. As IVCi Collaboration Strategist Robert Mathews explained, “The goal was to deliver technology as a seamless interface to JMU’s work and their ability to collaborate.” Technology that’s easy to use becomes a powerful tool for problem-solving — not a challenge to be solved so the “real” work can begin. In its work on the New Media Production Center, Communications Engineering, Inc. (CEI) “worked closely with American University SOC staff” on designing, building and installing the center’s video editing suits, radio production suites and classroom tools. Photos from the project also show a mindfulness of the space itself, with strategically placed monitors and wheeled, modular furniture and components. As Alexandra Lange noted in a 2016 New York Times article, the focus on architecture, interior furnishings and design is often as intense in a collaborative space as the focus on the space’s technological appointments or purpose. 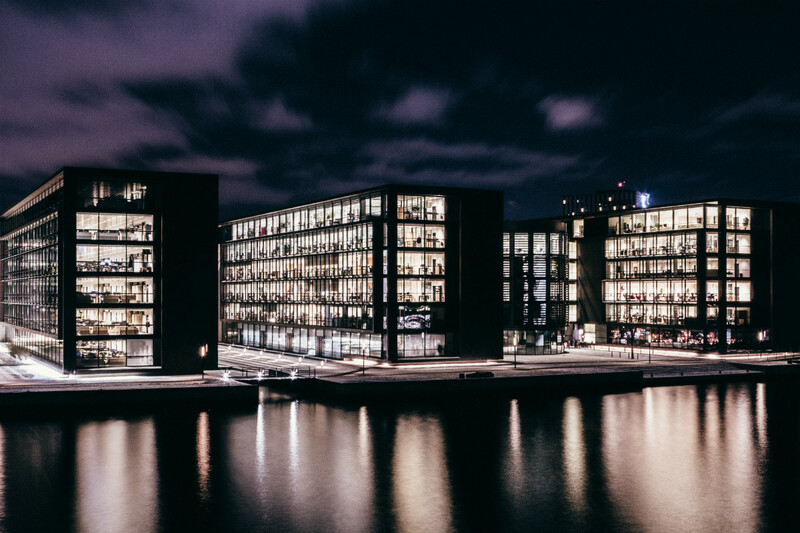 Integrators who work with an eye on the space can greatly improve the outcome both of their own contribution and of the innovation center as a whole. The University of Utah seeks to bring innovation closer to home by merging its innovation spaces with its dorms. The project offers multiple living-space layouts along with a basement containing 3D printers and other prototyping tools. By patterning the space on many Silicon Valley living quarters, the university hopes to encourage students to think, dream and collaborate together — a key goal of innovation spaces, notes Vanderbilt University’s Melanie Moran. One of the largest costs of innovation spaces is their need for process — the need to encompass and even encourage failures in order to forge a path for success. With these costs in mind, universities are interested in efficiencies where they can find them. AV over IP systems offer one way to meet this demand. At HEC Montreal, MuxLab recently participated in an effort to improve lecture halls through an integrated AV over IP system that leveraged the school’s existing IP infrastructure. The project’s first phase linked up 30 classrooms, with the final goal to be to connect 80 such spaces. As Mike Tomei notes, integrators may need to invest some energy in providing a 101-level overview of AV over IP’s benefits to an innovation center. When costs and efficiency are compared, however, many schools jump at the chance to move their AV offerings to the next level as a part of their existing infrastructure. 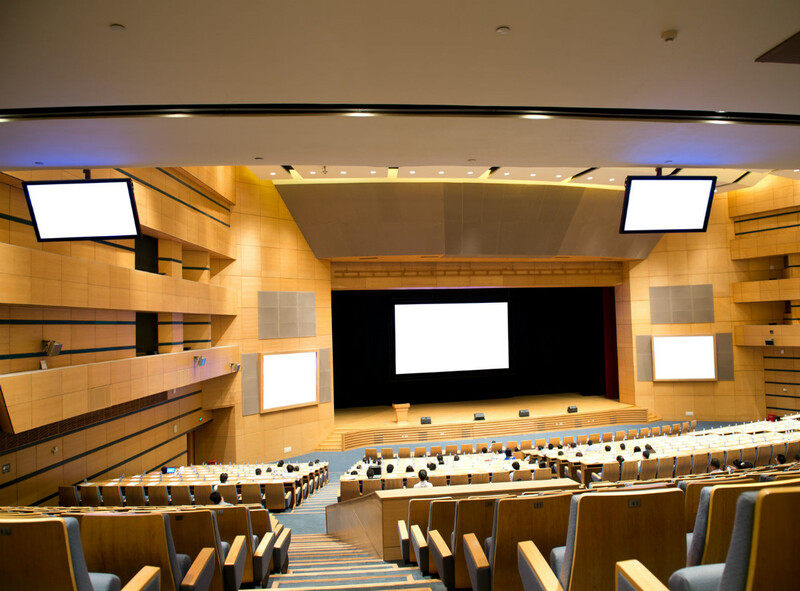 Companies like Matrox have even branched out to offering university-focused training on AV over IP at major conferences, allowing both educators and integrators to better understand the power these options provide. While working closely with clients both during and after an installation project is not new, integrators have an opportunity with innovation centers to position this service as a means of fostering collaboration itself. It’s a small step from “supporting clients” to “working with students, faculty and stakeholders to improve AV systems” — and it’s a relationship that can benefit both the university and the integrator. By focusing on the big concepts, integrators can help university decision-makers make more efficient and effective choices for innovation spaces — and help themselves succeed in executing these visions.